Every week we try to have a movie night with the kids. 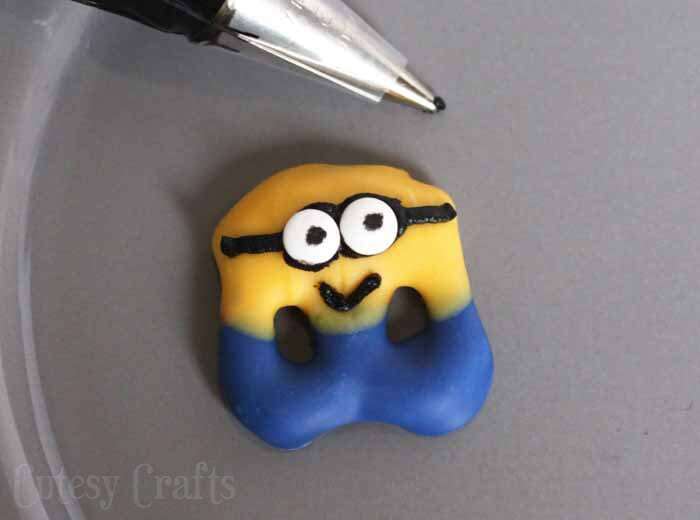 We recently watched both of the Despicable Me movies, and they loved the funny little minions! Naturally, they are very excited to see Illumination Entertainment’s newest movie in the series; Minions © 2015 Universal Studios. All rights reserved. The new Minions movie comes out on Blu-Ray/DVD on 12/8/15, and we can’t wait to watch it! Right now, you can preorder Minions from several retailers by going here. 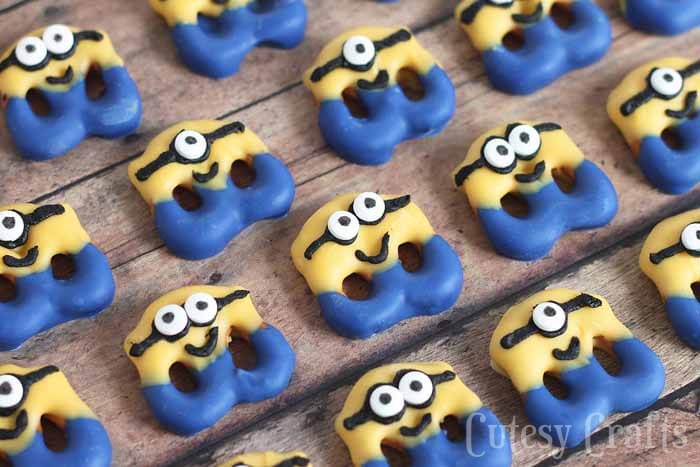 To get ready for our Minions movie night, we made these adorable Minion Pretzel Treats. Easy, cute, and SO tasty! 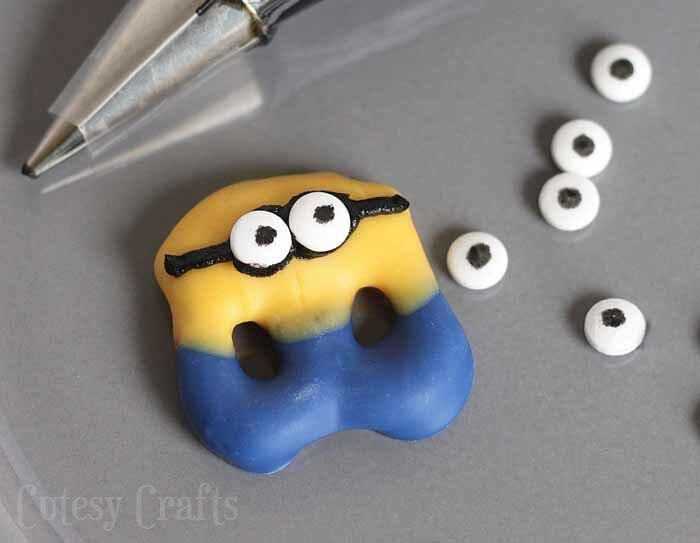 Keep reading to find out how to make these and check out more Minions movie ideas here. Use more or less of each ingredient depending on how many you want to make. Follow the package instructions to melt the blue candy melts. 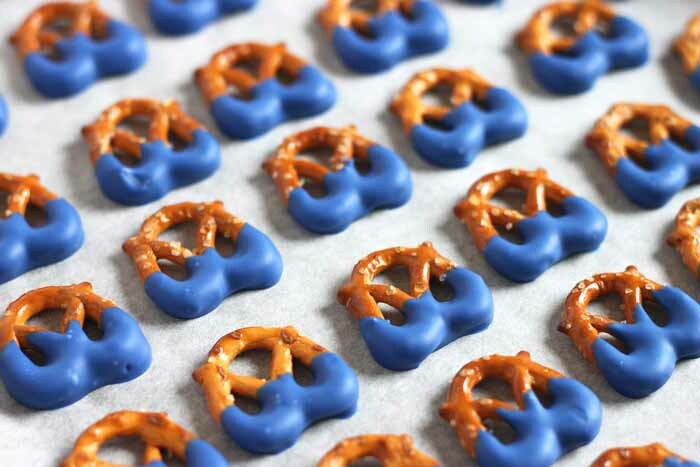 Dip half of each pretzel in the blue candy and lay them out on a piece of wax or parchment paper. 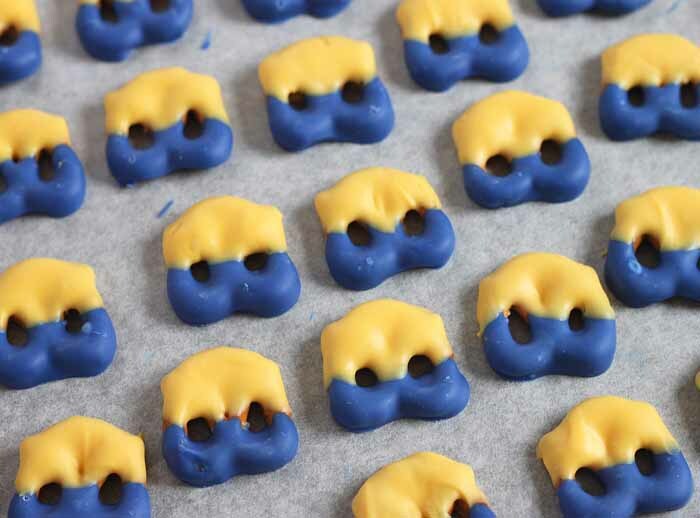 Once the blue candy has hardened, melt the yellow candy melts. Dip the other half in the yellow. 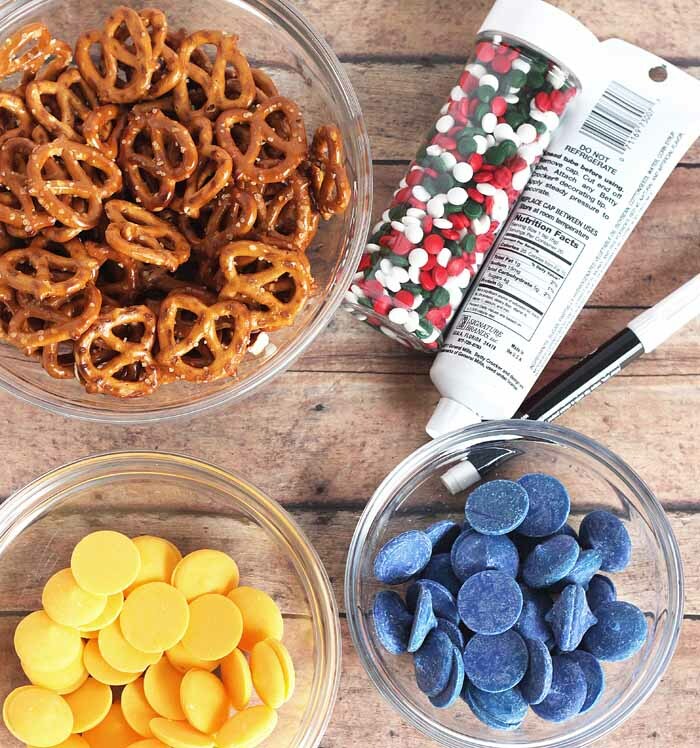 Make sure to dip all the way past the hole on that side of the pretzel so the candy will fill in the space like in the photos. I used some round white sprinkles to make the eyes. 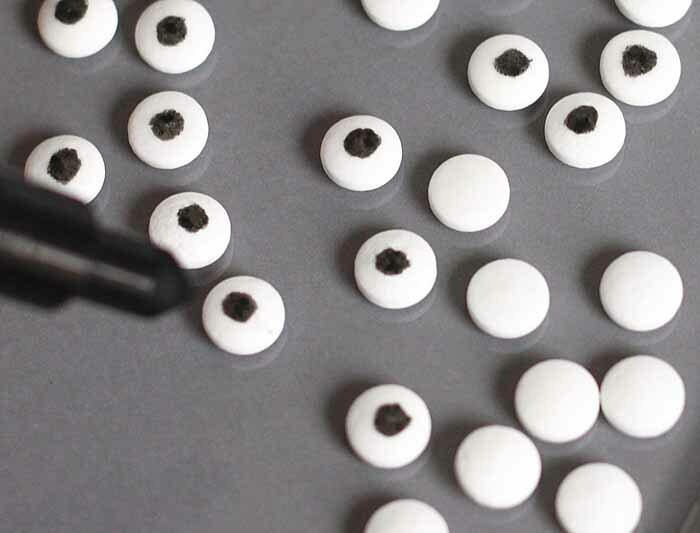 Just draw some black dots with a candy marker for pupils. They sell actual candy eyes, but none of the ones I found were small enough for this. 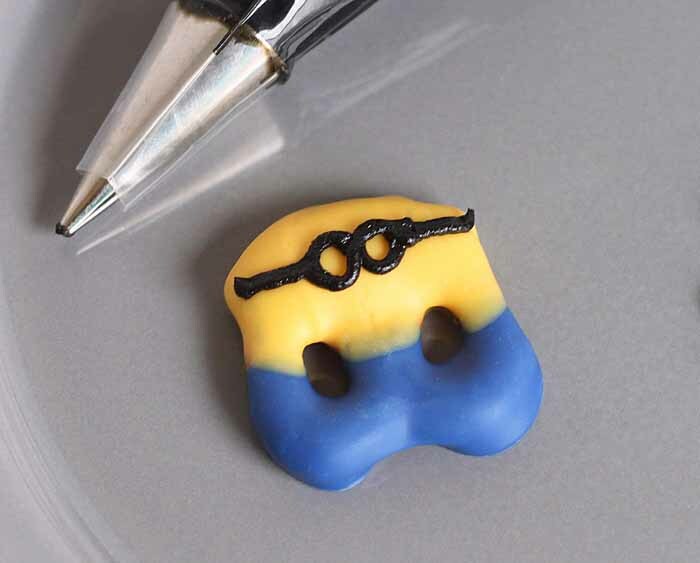 Use a small piping tip to pipe some goggles onto the minion pretzel’s face. I just bought some pre-made black decorating icing in a tube to make things easier. Add the eyes before the icing hardens. Pipe on a little mouth. So cute! Make some with one eye and some with two eyes. Now you’ve got your own little army of minions! 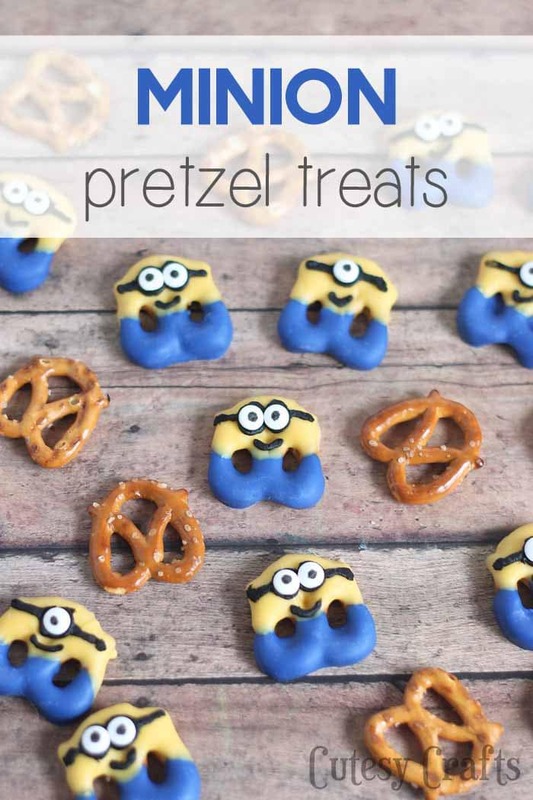 A perfect treat for your Minions movie night! For more Minions Fun, join the Minions Viewing Twitter Party on December 11th from 7-9pm EST! RSVP at www.SoFabChats.com and follow along with the #MinionsMovieNight on Twitter. Keep up with the latest minion news on Instagram, Pinterest, Tumblr, Twitter, Facebook, and YouTube. 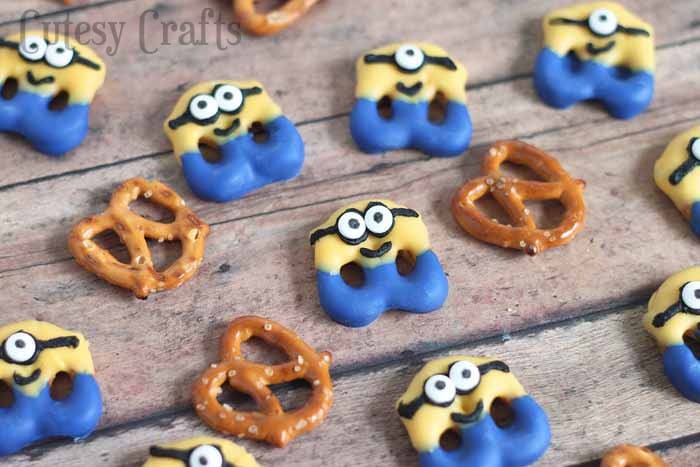 Also be sure to check out these 15 Minion Food Ideas! We just got done watching this movie! 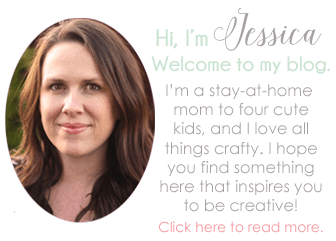 This is so cute and I can’t wait to give it a try ? 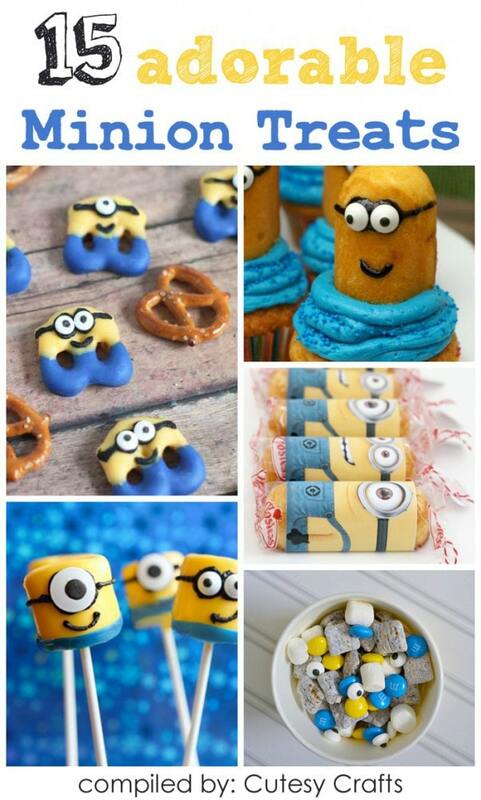 I’m making these today for my 4 year old son’s Minion birthday party tomorrow. Thanks so much for sharing such a cute idea! You’re welcome! I’m so glad that you like them!